Hampton Roads' Best Paintless Dent Repair, Scratch Removal, Bumper Replacement, & More! Our shop has the latest equipment to get your car looking great again and get you back out on the Virginia and North Carolina roads. 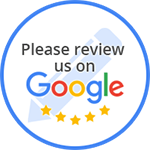 If you vehicle is in need for some auto body work, and you're in Hampton, VA, get in touch now, and see what we can do for you! Hampton Roads' Best Paintless Dent Repair, Scratch Removal, Bumper Replacement, and More! Are you in need of any Paintless Dent Repair, Scratch Removal, or Bumper Replacement services? Located in Hampton, our auto shop is ready to serve all your car repair and maintenance needs. We pride ourselves in our knowledge of general repair and maintenance to get your car back on the road. If you have had the misfortune of being in a car accident recently, and are looking for a place that restores cars to pre-accident condition right, the first time. Look no further. Our facility is staffed with certified technicians who utilize the very latest in automotive body restoration technology and equipment. “I was in an accident a while back and I got some damage to my car's bumper. Frank came the next day, and in about an hour it looked as good as new! It might not have taken that long if it was a warm day! Call Auto Renewal Services for bumper replacement & repairs that cost less than your insurance deductible. Our mobile technicians will employ our paintless dent repair to restore your car’s body back to new again. Professional paint scratch removal in Hamptopn, VA that are 100% guaranteed to be performed to your satisfaction. 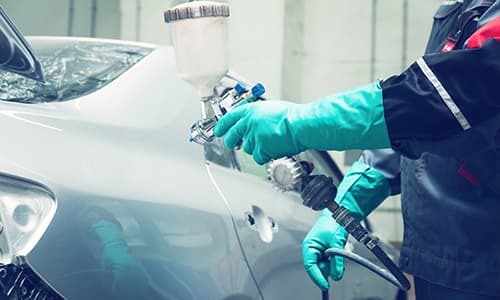 We are not in the business of extensive auto collision repair, however we are an excellent option to minor auto body repair. Auto Renewal Services in Hampton, VA is an ideal solution to restoring your car headlight lens to pristine condition. We are the expert in vinyl letter removal from your car, van, boat, truck, or any other surface with vinyl lettering. We utilize the very latest and best in auto body repair technology to ensure the car gets restored right, the first time. Whether you need services like Paintless Dent Repair, Scratch Removal, or Bumper Replacement, our technicians are ready to lend a helping hand whenever needed. We also have a computerized paint matching system that ensures that your car’s finish will come out even.